The police watchdog will investigate how Thames Valley Police reacted to a tip-off that a motorist might be unfit to drive five days before he caused a triple fatal crash. 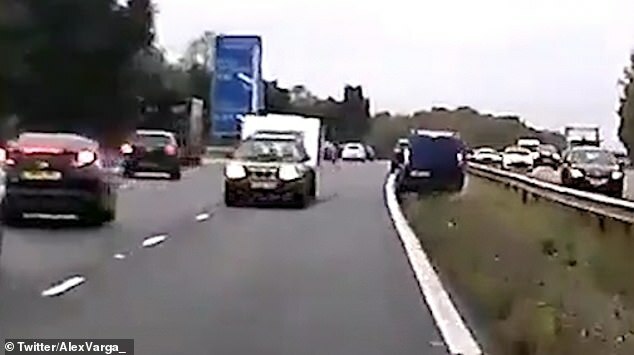 Officers received a complaint from the driver of a parked car which was hit by John Norton, 80, the driver who incredibly drove for miles the wrong way down the M40 motorway – towing a caravan. 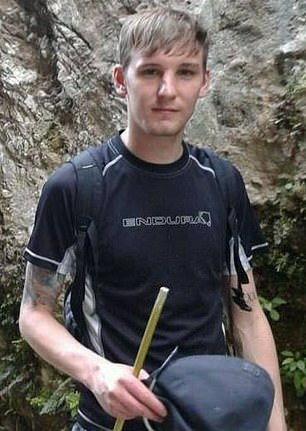 He crashed head-on into ex-soldier Stuart Richards, 32, an innocent motorist travelling the right way and killed him as well himself and his wife on October 15. It was revealed on Wednesday that five days before the fatal collision, the driver of another car hit by Mr Norton’s Subaru vehicle had reported to Thames Valley Police that he felt the elderly man should not be driving. However, he was told to send an email to the police by filling out a form which apparently may have not been acted upon. On Wednesday the Independent Office of Police Conduct (IOPC) said it was investigating whether Thames Valley Police dealt with the tip-off properly. 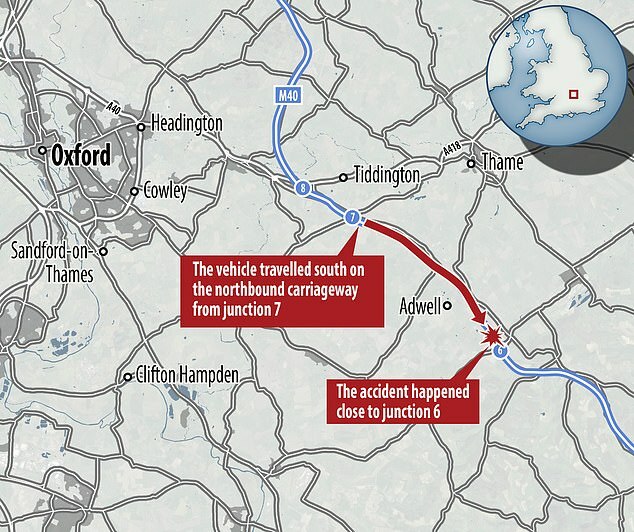 A spokesman for the IOPC said: ‘We have launched an investigation into how Thames Valley Police progressed a report of fitness to drive in the days before a triple fatal collision on the M40. ‘We are carrying out an investigation into how a report of concerns regarding a driver’s ability was handled by the police. ‘Thames Valley Police (TVP) referred the matter to us following a collision on the M40 in south Oxfordshire on Monday, October 15, in which John Norton, Olive Howard and Stuart Richards all died. ‘On Wednesday, October 10, TVP received a report of a damage only collision in High Wycombe, Bucks., in which a Subaru struck a parked car. ‘The owner of the parked car was sitting in his vehicle at the time and alerted the Subaru driver to the incident. ‘The drivers exchanged details and the owner of the parked car reported the incident to the police via 999, during which he was advised to submit a report online, which he did the same day. ‘In the report he raised concerns over the Subaru driver’s fitness to drive and the safety of other road users as a result. ‘It is believed that the driver of the Subaru on October 10 was Mr Norton. 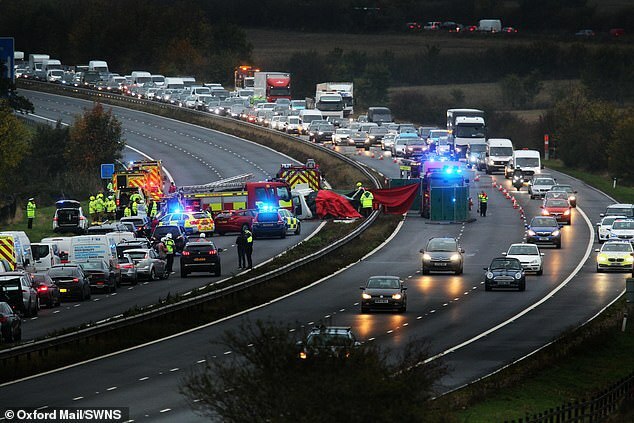 IOPC Regional Director, Sarah Green, said: ‘Clearly the events on the M40 motorway are terribly tragic and the families of those who died and all of those affected have my deepest sympathies. ‘We are examining whether the response from Thames Valley Police adhered to relevant guidelines and policies when concerns were raised over the driver’s abilities five days ahead of the fatal collision. Dozens of motorists swerved to avoid the caravan-towing Subaru as it barrelled down the M40 and collided with Mr Richards’ Ford Mondeo. 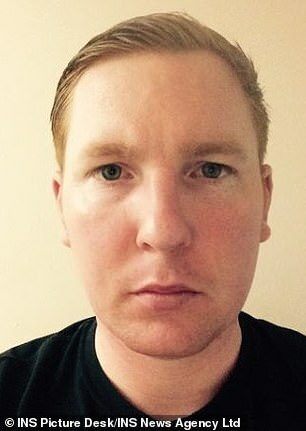 Mr Richards’ younger brother Niall described Stuart as the ‘rock’ of the family after the crash and told the MailOnline in October he was reeling after being told Mr Norton’s car had been involved in another crash only five days before. ‘I am extremely angry,’ Niall told MailOnline. ‘The news of what happened was tragic enough and then to find out the extra circumstances surrounding it just drew everyone down even further. Upon leaving the military Mr Richards became a keen activist for Veterans for Peace, which raises awareness of the problems that come with war, such as PTSD. 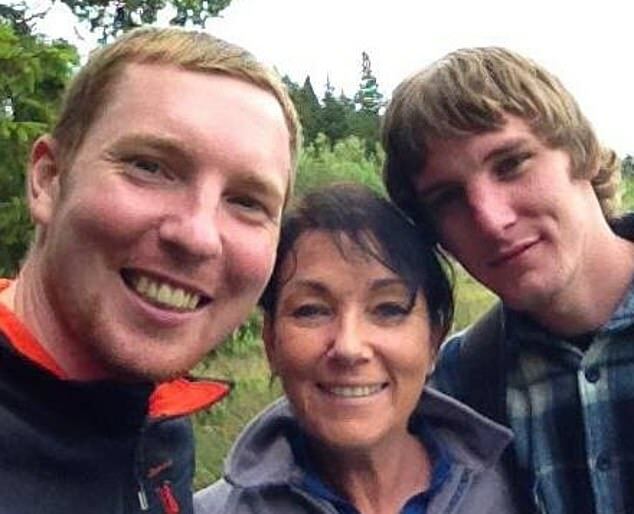 Inquests into all three deaths have been opened and adjourned while further inquiries are carried out by the police.